The Ironic Column from Allen Memorial Art Museum. Photo by Matt Wargo. MN: I’ve always been curious about your roots. I know you were born in Zambia, grew up in South Africa, studied architecture at Witwatersrand University in Johannesburg and the Architectural Association in London, and received master’s degrees in urban planning and architecture at the University of Pennsylvania in Philadelphia. You often mention that growing up in Africa influenced your work and thinking. But I wanted to know where your family is from and how it happened to move to southern Africa. Does your maiden name, Lakofski, mean you are connected to Poland? DSB: I’m very pleased an architect from Poland asks me this. In fact I’m not Polish but Jewish. My family came from Latvia and Lithuania. My mother’s family was from the Duchy of Courland in Latvia. They were German speaking. My grandmother also spoke Russian and what she called Lettisch, the German for Latvian. She learned to speak English when she joined my grandfather in the wilderness of British colonial Africa. I saw images of her as a beautiful 18 year old, dressed in the Edwardian style with her hair up. Then in the next picture she is cooking over a big iron pot set on an open fire in their outdoor “kitchen,” with African huts in the background. My father's family came from Lithuania and that was socially different. I did not hear any of them speaking Polish. I grew up in Johannesburg. I often say my view of Las Vegas is an African one, and indeed, our three generations of history there inform my life. But so does our longer history in lands my grandparents knew. MN: Looking back at your career, at your years of practice and writing, it strikes me that your work is a reaction to the Modern Movement. Even though you lived in an International Style house in Johannesburg and took up New Brutalist ideas in London, it seems that you and Robert Venturi reacted against the Moderninst obsession with object production, white pristine boxes, functionalism and the expression of it. Your work strikes me as a conceptual reversal of these principals. Also in the essay “Learning from Pop” you emphasize social values and communication, elements that often supersede the function of space or even the space itself. These themes emerge strongly in projects such as Grand's Restaurant, the Football Hall of Fame, and the Whitehall Ferry terminal, which investigate or challenge social values, by dwelling on the commercial, pop culture, mass media, and the mundaneness of the everyday. DSB: We are not anti-Modern. I came out of the early Modern Movement. My mother had studied architecture and was an enthusiastic Modernist, hence our 1934 International Style house. I followed her and have loved Modern architecture from before I can remember. Without question I’m a Modernist. But I love Gothic too, and I wouldn’t build either Gothic or early Modern today. I see what Bob and I have done as updating Modernism, and ours is only one of several cycles of reassessment, one wave among several. Between Le Corbusier and the Smithsons were architects like Alvar Aalto and Josef Frank, not to speak of the New Humanists out of Sweden. Our Postmodernism is part of a tradition of rethinking and, far from being disloyal to Modernism, we love the fearlessly open eyes with which its founders saw their new, if ruined, post war world. That outlook, we felt, had to be translated in the light of new factors of our time. Today these would be: globalism, a digital world with inventions going beyond the computer, and inherited problems of sustainability and responsibility. For the Moderns, functionalism was bravely considering the implications of what you see around you and learning from them. Doing so may make your work look incredibly ugly -- even to you. But that is the way aesthetic sensibilities change. New patterns and new societies tend to produce things we find ugly, just as Modernism did. But people grow to love them because they are, in the end, right. That has happened to us at times in our work. And you’ll see themes beyond those you mention, when you consider the broad arc of our career and its later decades,. But most, though adapted for our time, are related to Modernism. MN: In your work you often reach for historical reference to reveal irony and humor. My favorite example is the Ironic Column, which goes back to ideas of sign and what it signifies. It may make you think of strength and support. But then you see it’s oversized, and made of wood. That's when you start questioning its purpose, whether it’s really holding up the building. DSB: We don’t want to take the monumental aspects of our architecture too seriously – that would make them oppressive. A little self-deprecation can be seemly. We may see a church that signals, “Yes I’m a grand building. I even have a dome and a wonderful statue in front, but look at the funny little entrance you actually go through. Here is a grand entrance for Sundays and a little one for weekdays.” The play between the two creates irony and keeps the building human. There is a wonderful scene in the Great Dictator, when Charlie Chaplin as Hitler manages to remain constantly higher than Mussolini by the way he has designed and arranged the furniture. Not only does Mussolini slide down his sloping seat, but all else in the scene happens to deflate his ego, and to support Hitler’s ego. That’s the issue of the monumental building. We feel most architecture should err on the side of self-deprecation rather than trumpet-blowing. But the irony should not be at the expense of the client. Hotel du Departemente de la Haute-Garonne in Toulouse, France. Photo by Matt Wargo. MN: In your work you can clearly see your interest, not only in theory, but in the history of architecture. There are recurring themes from history and references to historical elements and typologies. Your work gives them new meanings or questions their original meanings. You can see it in the Gordon Wu Hall column or the Sainsbury Wing of the London National Gallery, and especially in the Hotel du Departement de la Haute-Garonne in Toulouse, France. DSB: This is traditional African bead work. The small squares are like little billboards; their patterns of colors are coded messages, mostly love messages. Beads traditionally decorated people or covered dried gourds used for producing and storing sour milk. When Africans came to live at the outskirts of Johannesburg they took the waste of industrial society and made art out of it: toys for children, musical instruments, and beaded bottles. As for the Coca Cola bottle, a Coca Cola executive gave it to us. Being a South African, he guessed we would like it. Postmodernism -- our Postmodernism – was derived in part from Africa. It also came from pre and post War World II, theological thinking about the Holocaust. Considering the millions of deaths, moralists admonished that people were not innocent and that it was sinful to see oneself as innocent given the evil that had prevailed. That notion was called Postmodernism, and it entered the humanities, art, and religion long before architecture heard of it. We made it part of our architectural Postmodernism. We knew that architects as urbanists had been “zealots for false causes”; how, for example, during the Russian Revolution, Russian Constructivists had claimed that the new proletariat would forsake their icons and follow Constructivist rationality, and how this had proved false. And in 1956 when the US government under urban renewal law, gave authority to architects to design what they knew was “right” – authority that the early Modernists had only dreamed of -- joy was expressed by the profession at the opportunity to exercise creativity for the good of society. But by 1958 urban activists were crying out against the “harmful do-goodism,” of architects and describing the social damage their dreams as built had caused. 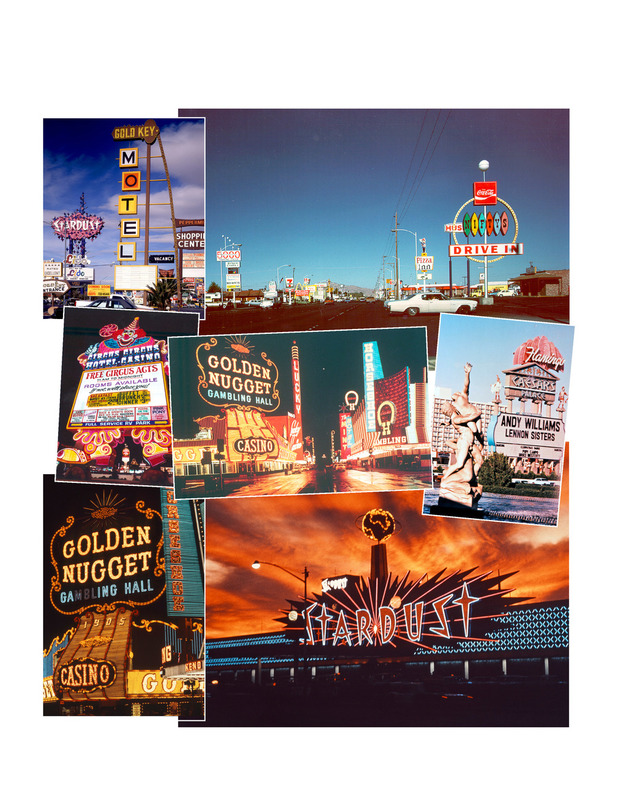 MN: Let’s talk about Las Vegas and about the studio you, Robert Venturi and Steve Izenour led there in 1968. In your research we see how an interest in communication and pop art grows into a much broader analysis. You take a fresh look into everyday surroundings -- at the ugly, the mundane, consumerism, mass media culture, and at two basic but ignored element of architecture: signs and language. In your formulation architecture is communicated through systems of signs that signify meaning, and there are two forms of communication: the Duck and the Decorated Shed. At the origin is the duck, a product, a source of food. It's the sine qua non. Then we have a store that sells duck. It may announce its product by taking the shape of a duck -- the building is a signifier that expresses the real duck, the food. Or it may be a generic expressionless shed with a sign that says “Eat” or “Duck.” Here the sign -- not the architecture -- communicates the idea of food and does it though language. The Duck operates through form and the Decorated Shed though language. You advocate the second one in your work, don't you? Why would you favor one over the other? DSB: In theory, we say, there is room for the building that communicates its message via its shape. But architecture has probably never been all shape and no message, for example not all columns in Renaissance buildings were structural. Some were there to communicate and associate. But shape was important too. Monumental buildings had domes to satisfy internal needs. But their silhouettes on the outside were important too, which is one reason why domes had two layers, the outer higher than the inner. To that extent the building is a Duck. And if our building is a civic or religious one it may indeed be part Duck, but it will be a Decorated Shed as well. Our Episcopal Academy Chapel is among our duckier buildings. Its shape says “church.” But the church- associated silhouette and its decoration are all on a single surface, a kind of arcade with no back. The building tells the story of Gothic architecture on one plane and its semi-circular worship space is defined by receding planes. It’s a compromise, a Decorated Shed done in the round. MN: Are most of your buildings Decorated Sheds? DSB: Yes, because most of our work is academic, where the budget won’t allow expensive shapes. But although the shed is cheaper than a duck it does not follow that it is less carefully designed. MN: Yet in this chain of signification from duck, to Duck building, to sign that communicates duck, aren’t we getting further and further from the real concept and the origin? DSB: Yes, your shed may do a lot of acrobatics on the idea of duck that removes it from the original. And what if a new owner says: I don’t sell duck, I sell dogs. Can you put another picture on the front? Can you reshape the Duck? Can a Duck sell dogs? This is a critique of the architectural view of function. Unless the first program of the first client remains its function for ever a duck shaped building may not work. The activity of selling of duck may change over time, so may the owner’s needs and certainly those of future owners. Can you design a permanently shaped building that conveys a strong message yet can adapt to change? If it can cook and sell duck what else can it cook and sell? Can it become a library? These are issues with the concept of functionalism. MN: Are you saying that if the duck was in a different shape, that if it were, let's say, “S” shaped or a skeleton, it would not make a good space or architecture? DSB: “Good” has many meanings and is not the question here. The question is kinds of function. In our example it’s obvious that the building designers cared more for the function of selling ducks on the outside than the convenience of those preparing them on the inside. And the building is functional in that sense. But if you need anything else -- let's say natural light on the inside – then the building doesn’t work well. But think of all the museums in Rome that are in former palazzos. There are certain generic types of building that can serve many different functions and have done so for centuries. Most Ducks could not do this, some can (the Furness-designed Fine Arts Library at Penn, for example) and just a few should not be asked to. MN: After considering your architecture projects, your competition proposals, the work you did with signs on buildings and of course your writings, where do you feel the real architecture is? DSB: It depends what you mean by real. Are you asking where the center of emotion lies? I believe that every architect puts a chapel, a place of passion, somewhere in every building. In Bob’s mother’s house it’s the stairway -- where light enters as in a Baroque altar. In our University of Michigan complex it’s at the meeting of two pedestrian axes, where we hope there will be a meeting of minds. MN: Would you say that in all your projects you have found this moment -- the chapel -- even in projects that are generic sheds? DSB: Of course, but its configuration might be more modest in a shed. And users may find their own chapels, or define their own “public space.” I recently heard a sociologist say you can’t design public space. You can design something of an appropriate shape and put it in an accessible place and perhaps people will make it public. I call this providing jungle jims for adults. In our Perelman Quadrangle at Penn, I placed amphitheater seating at an entry to the outdoor Commons, at a spot on the route where people must negotiate a slope. Students go there to eat their sandwiches or study. But if someone stands in a certain position the space becomes a stage. At the other end is a small outdoor rostrum, backed by a large Penn coat of arms. It’s a good place for a group to cluster, or for an outdoor performance or seminar, and we placed electrical outlets there to support such activities. Then one day I found a lectern set up. Once a week at lunch hour – and for one minute only -- a faculty member addresses people eating there, on “my field of study.” I loved this extension of the jungle jim idea to meet others’ passions. It was what I hoped would happen. But was your question broader? MN: Perhaps. Does architecture for you lie in form or in its absence? In the sign, the language, or the invisible subjective communication in between? DSB: It lies in more than that. David Crane said, “We refuse to believe that serious men (sic) can be interested in need without shape or shape without need” and you have suggested some evocative options for the essence. But for me it lies in a broader intertwining than either of these. I love to make things, and I deeply want to make them beautiful – even if their beauty may at times seem ugly. But, for both moral and aesthetic reasons, I want my making to be informed by many outlooks, artistic and intellectual. I want the discipline of architecture to be generous -- a large and sturdy window that opens on a very wide view. It should derive inspiration from many sources within and beyond architecture, and an important one for me is social life. But our challenge is to put all these together with intellectual and artistic sophistication. We must cultivate the ability to use non architectural information as architect, not as historians, sociologists or semanticists. To do so we need far more sophisticated concepts than did the Moderns, especially concepts of functionalism. My planning education taught me to analyze and plan for the activity patterns of the Perelman Quad, and to encompass the added complexity that requirements change over time. Knowing the complaints that the public stays away from architect-designed public spaces, I feel proud when I see mine being used in ways that I had hoped and in others that I could not have imagined. And I suspect that, although the beauty of the Quad makes people love it, this is not the major reason they use it – as the fact that it was ignored for decades proves. It only returned to use when our new activity patterns made it accessible and produced many reasons to go there. Urban sociology and land economics with a spattering of politics, gave me the information. Sadly these subjects send architects running, but for me they’re basic to where reality lies in architecture. All the realities you mention, all those we love as architects, come second. These basic relationships, what planners call “city physics,” are sine qua non and the first challenge to our creativity. MN: Let us talk about the events that happen this year, the petition. Over 18,000 people signed it. A worldwide architecture community has given you support. The Harvard students who organized it, Arielle Assouline-Lichten and Caroline James, initiated an amazing movement that has brought up issues our profession has struggled with for years. Together you and Robert Venturi created some fascinating projects, but in the eyes of some, notably the Pritzker Prize, your joint role was not recognized. The petition and the discussions that followed concerned the nature of collaboration in architecture, but also, and most passionately, it described the roles of women and the challenges they face today. Current data show that almost 50% of architecture students, in the US about 15% are licensed. Many drop out before their careers begin. What do you think is wrong with our profession? DSB: Let’s digress a moment. In the mid nineteenth century, a journalist Henry Mayhew documented accounts by the London poor of their lives. His “Mayhew’s London” became a datum for historians on poverty at that time. We can see the Harvard petition as our “Mayhew's Architecture.” It has revealed the standing of women (and young architects in general) in our field and its accounts of what they face in 2013 have already been influential. As for me, I had suggested that the Pritzker Prize owed me not another prize but an “inclusion ceremony,” and added “Let’s celebrate joint creativity!” But the Prize said “No” – as they did in 1990 when Bob, hearing from them of his award, responded “Denise must be given it with me.” Now the petition signers have included me. Mayhew’s Architecture will be a datum for our profession for maybe a century, but it’s also an inclusion ceremony that surpasses any the Prize could invent. Just think: I’m a Pritzker looser, but which winner could have drawn responses from over 18,000 people and growing? Isn’t that winning? And it’s for us all. Another early outcome has been change in the American Institute of Architects’ criteria for choice of gold medal winners. The same excellence is required as before but now two people working together may receive the “GM.” For more than 30 years architects asked Bob to submit for it on his own, but he wouldn’t. Bob has earned the right to high award, but he would not represent himself as the sole leader of our team. And he has been equally supportive of the petition. People who ask “Where is Bob?” have not done their research. And those who announce that Complexity and Contradiction predates our collaboration have not read the book. Nor did I “not fight.” I have been a feminist from childhood. I did worry that anger expressed in the profession about my activism might hurt our firm, but I kept on. And the anger remains (see the comments sections of recent on-line articles). But my heart is warmed and mended by the events of this year. For Bob and me, they bring vindication of some dear hopes and a warm gift to our old age. MN: What do you wish to happen next? How should our profession progress? How should it address the current issues? DSB: When people discover how bad the system is the first reaction will be to demand prizes for teams only. But that’s an over simplification too. Let’s find out what we’re talking about before we make such decisions. I would ask the Pritzker to pause in the giving of prizes for two years while they rethink and to use that money to fund an institute – not a large organization and certainly not a building, but a skeleton staff. They should plan a conference to discuss the notion of joint creativity. Here people from fields, including architecture, where creativity is under discussion would consider how ideas arise among people in groups, how bright brains play a ping pong of ideas, passing them back and forth, topping one with another, seeing a good use for someone else’s idea – all the experiences architects know and love in studio. They should consider bad ideas too because, as Bob Venturi says, they often lead to good ones. And different forms of collaboration should be surveyed to help us understand the possibilities each offers. After the conference the goals of the new institute should be clearer and it can be planned further. But more important, there will be substance on the discussion of creativity; the Pritzker Prize will be in a better position to discuss group awards for creativity and on the way to achieving relevance and helpfulness in their high aim of rewarding design creativity. MN: Yes it’s our fight but although discussions on the role of women have become central in many professions and communities, in some places and countries they don’t exist. And in these places the petition may go where the Pritzker cannot reach. DSB: And it will have its place in history. MN: A last question: You have had such a successful life both academically and professionally. Which project stands out for you the most? And I mean any project whether writing or built work. Which one do you want to be associated with or remembered by? Learning from Las Vegas. Photo by Venturi, Scott Brown and Associates, Inc.
DSB: Which of my babies do I love most? I can’t tell. But people say that the Vanna Venturi house turned around the culture of architecture. And recently a preservation architect told me that our Benjamin Franklin Museum changed preservationists’ understanding of what restoration can be. Architectural researchers have credited our Learning from Las Vegas study with transforming the subject matter and methods of architectural research. It has also offered architects new ways of seeing cities and induced vast shifts in studio pedagogy. But what I love to do most is design – difficult though this is and sure though the profession is that I don’t do it. And an exciting aspect of the work can be the ping pong of ideas, the joint creativity still avidly denied. Yet sometimes in present practice we get intimations of the future. One afternoon, my project manager and I worked with five engineers on systems from the arcane to the run of the mill that converged on our project for a complex of buildings and infrastructure in the life sciences. Our agenda that day was to clear the way for a design whose outlines we could see, and for how it could winkle into a complex topography in an area of campus where all systems were at their largest with biggest lines and ways, and all overlapped. It was fascinating to get to understand the complex processes these young women presided over. Yes! We were all women, seven of us, architects and engineers, making recommendations for the very long term for one of the country’s greatest universities. Men will be entirely welcome, but the diversity the future promises will be energizing for our field – and fun. MN: Thank you for the conversation.